The Crescendo Temporary Access Card is a dual interface smart card that has been designed to be compliant with FIPS 201 specifications and can be used to provide PIV-like credentials for physical access to visitors or to employees that are temporarily without a CAC or PIV card. Many government agencies provide CAC or PIV cards to their users via managed services but do not have the ability to provide a similar credential for users that are not eligible for a CAC or PIV card (e.g. : visitors, personnel that are onsite less than 180 days, etc…). The Crescendo Temporary Access Card provides an easy, cost effective way for government agencies to comply with the Office of Management and Budget (OMB) memorandum M11-11 by providing visitors with a smart card that is ready to use with FIPS 201 compliant physical access systems. 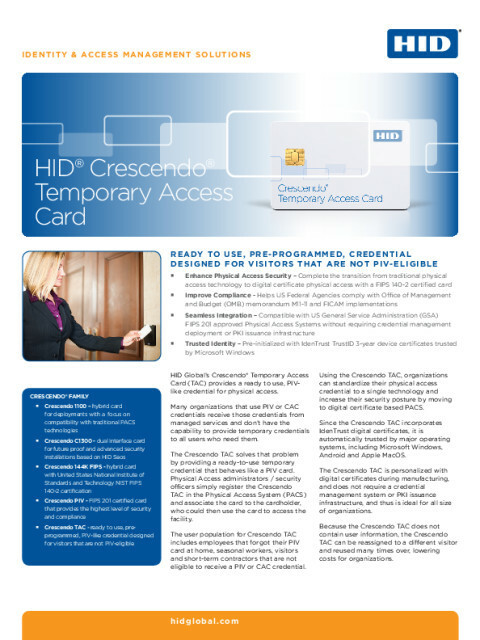 The Crescendo Temporary Access Card comes pre-initialized with IdenTrust TrustID digital certificates and does not require deploying a certification authority or a card management system. 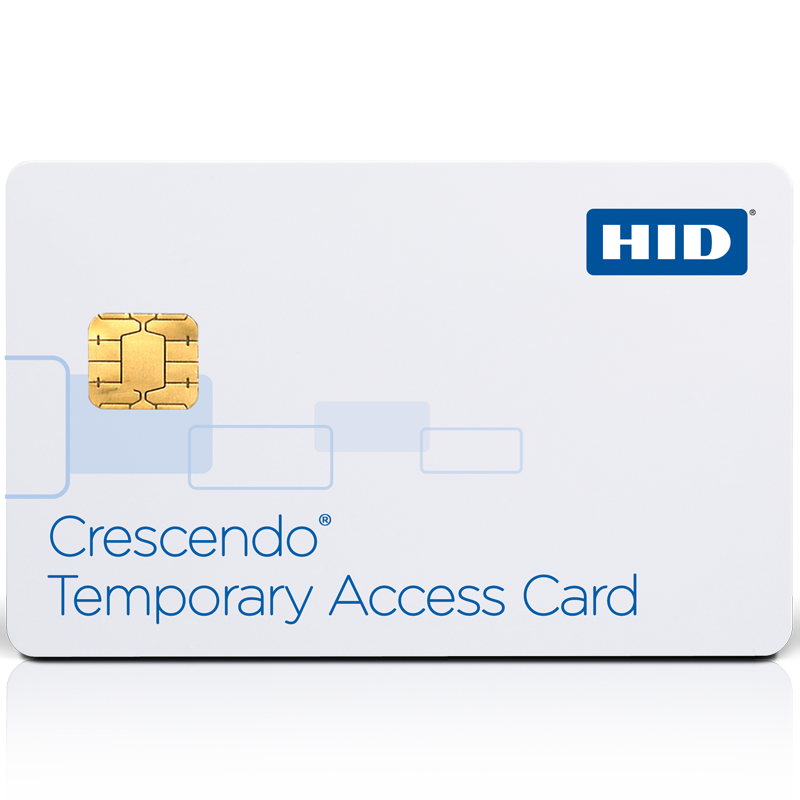 The Crescendo Temporary Access Card has a NIST FIPS 140-2 Level 2 security certification, NIST FIPS 201 interoperability certification, is listed on the US General Service Administration FIPS 201 Approved Product List and has optimized performances for faster physical access using digital certificates. As part of the Crescendo card family, this credential is designed for high performance and durability. It is made of composite PET/PVC plastic that can be printed in Fargo DTC and HDP smart card printers.